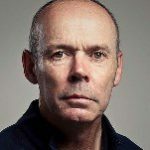 A former top Rugby Union player and coach, Sir Clive Woodward was head coach of the England team that won the Rugby World Cup in 2003. Sir Clive went on to work as the Team GB Director of Sport from 2006-2012, leaving the role after the phenomenal success of Team GB in the 2012 London Olympics. As a speaker Sir Clive shares his insights into sporting success, leadership and management drawing on a wealth of experience from his storied career.